You may already have tried it through the PLASMA5 variant of the Slackware Live Edition which I uploaded yesterday, and here is the announcement of the addition of KDE 5_16.04 to my ‘ktown’ repository – the April release of the combined KDE Frameworks 5.21.0, Plasma 5.6.3 and Applications 16.04.0. What’s new in KDE 5_16.04? Applications packages, and ‘kactivitymanagerd’ is now part of Plasma itself. See https://www.kde.org/announcements/plasma-5.6.3.php . Applications 16.04.0 was just released. KColorChooser, KFloppy, KMahjongg and KRDC have now been ported to KDE Frameworks 5, and the Kontact Suite (KDEPIM) has been subject to massive bughunting (and -fixing). Lots of PIM related libraries were split-off into their own source tarballs, resulting in 16 new packages. For the announcement, see https://www.kde.org/announcements/announce-applications-16.04.0.php . KDE Telepathy now officially has a voice & video GUI application. Previously I shipped a beta release of the “ktp-call-ui” package. Also I upgraded or recompiled the complete stack of “deps/telepathy” packages. ktorrent (and libktorrent) have also been ported to KF5, and packages for these have been added to kde/applications-extra/ . Phonon, and its plugins for gstreamer and VLC backends, have been upgraded offering improvements for the Qt5 build, better volume slider and muting support, and use of the VLC 2.2 API. Remember, if you actually want to use the VLC backend for phonon you will have to install a VLC package separately (it is not included with the ‘ktown’ releases). And finally (as hinted before), QT5 was updated to the latest release 5.6.0. A new package was also added (qt5-webkit) because the Qt5 WebKit source code has been removed from Qt5 since 5.6.0 and it needs to be compiled/packaged separately now. I removed the “kde-workspace” package from “kde/kde4” because I think it is no longer needed. Let me know if that was an incorrect assumption. As always, the accompanying README file contains full installation & upgrade instructions. Note that the packages are available in several subdirectories below “kde”, instead of directly in “kde”. This makes it easier for me to do partial updates of packages. The subdirectories are “kde4”, “kde4-extragear”, “frameworks”, “kdepim”, “plasma”, “plasma-extra”, “applications”, “applications-extra” and “telepathy”. 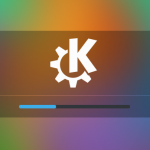 Upgrading to this KDE 5 is not difficult, especially if you already are running KDE 5_16.02. You will have to remove old KDE 4 packages manually. If you do not have KDE 4 installed at all, you will have to install some of Slackware’s own KDE 4 packages manually. Posted: 21 April, 2016 in Slackware, Software. One issue: it seems, that you compile krdc without xfreerdp installed. I needed to recompile krdc to get support for RDP connections. Thank you! This update seems to have fixed several glitches, and it seems slightly faster, too. Suppose that I want to make a slackware64-current installation DVD with kde5 instead of kde4. Is it enough to put everything in the kde5 deps/ directory in slackware64-current l/, and all the other packages in slackware64-current kde/ and kdei/ ? LOE – the xfreerdp package is not part of my dependencies but perhaps it is time to add it. Helios it is not that simple. You can not create an installation DVD with KDE5 just bycopying the packages. The setup program uses the tagfile information to determine what needs to be installed so you will have to edit the “maketag”, “maketag.ez” and “tagfile” files yourself. You could use the Slackware Live Edition (PLASMA5) to install Slackware with KDE5. LOE, I do not know Viber. But if it is a 32bit program, you will have to grab the 32-bit version of Slackware’s “libdbusmenu-qt” and my “sni-qt” packages and run “convertpkg-compat32” on them and then install both “libdbusmenu-qt-compat32” and “sni-qt-compat32. Those two are mandatory addons for displaying system tray icons of 32bit binaries in Plasma5. webster, a few posts higher-up LOE explained that krdc needs to be recompiled with xfreerdp installed. You can provide the Qt SlackBuild 5.6? Here gives error in build. CockCrow I do not understand your question. You do not have to compile it, because I provide all the packages already. Or did you just not want to search and wanted me to give you the answer? Alien, LOE, could you help me ? I have no idea how to recompile krdc with xfreerdp. Are there any special flags for RDP? I assume you only have to install freerdp and then recompile krdc. It should hopefully detect the installed freerdp and enable support for it. I actually prefer to compile my packages. I compile Qt with Postgres and FreeTDS. I tried to compile using QT 5.5.1 SlackBuild but gives error. The link “bear.alienbase.nl” is ok! One question: Eric, you said that you removed kde-workspace but I did not see on the README any instruction on its removal when upgrading from 16_03. Is that correct and no removal is needed? Well, I just upgraded and the whole thing looks and feels much better. Thank you Eric! CockCrow I forgot to update the files on alien.slackbook.org. Thanks for mentioning that, I am uploading now. I have issues when compiling Qt5 if there is already an installed qt5 package. So I always make sure that I compile Qt5 on a computer without qt5 pre-installed. Eduardo, removal is not needed but you can. In a future README I will add that info. KCalc has a bug, the window size is 0 and the window not appear. The patch in Gentoo’s repo solves this problem. Thanks Dhaby, a fixed kcalc package will be uploaded soon. Upgraded from a not-so-recent slackware64-current to latest -current with latest Plasma5… and managed to install Slackware’s kde-workplace (overwriting the startkde script of plasma-workspace) and qt5-5.5.1 (because I still had that in my regular repository). Result: errors about “kdeconfig4 failing” and a white SDDM screen. Just to let you know that on one of the two machine running KDE5 I had problem with the keyboard layout. KDE had “us” keyboard despite the fact that in “System setting” it was set to “it”. Anyway “setxkbmap -layout it” did the trick. Hmmi, KDE was working well on April 22, but when I ran slackpkg upgrade-all yesterday and rebooted, KDE is behaving very strangely. It knows all my settings, but they don’t seem to affect anything. Most icons in the system preferences are missing, and my taskbar is set to autohide, but it doesn’t. I wonder what happened. Geremia, I updated my desktop and laptop yesterday to latest 64bit -current. The desktop is running Slackware’s KDE4 and the laptop is running my Plasma 5. Both are fine, but the laptop gave me headaches as described a few comments up. ./deps/phonon-* is missing, so plasma does not start. it exists in 64bit release. Hm, I must have misplaced them and now they are nowhere to be found. I will compile new versions, thanks for reporting. I had to run “slackpkg reinstall ktown_testing” today. For some reason the “slackpkg upgrade-all” I performed on April 26 downgraded somethings. Does slackpkg+ just look at last modified dates and not actual version numbers for determining what is an upgrade? Or was there something wrong with the repository? “slackpkg upgrade-all” run today doesn’t report any potential “upgrades”. Slackpkg+ is a nice tool but it does not guarantee success if you are mixing packages from multiple repositories, some of the packages having identical names (like Slackware with Ktown on top). Ultimately you have to inspect the package list which is proposed by slackpkg before you hit “OK”. Sometimes a Slackware package can slip through the mazes, or a package which I have both in my regular reposititory and in the Ktown repository (like qt5). Slackware’s package tools do not care about version numbers or build numbers. For upgradepkg the only thing that counts is: different numbers. That is why in Slackware you can just as easily downgrade as you can upgrade a version with “upgradepkg”. any way do not build kdenlive-16.04 it is far from ready. Version 15.12.3 seems pretty stable. Eric great job. I really like the feel of this build. great and runs wonderful. Just keeps getting better. The package kde-workspace that was in ktown/deps, now no more exists in ktown, so upgradepkg reinstall the slackware official kde-workspace. slackpkg+ is a good tools, but it does not substitute the humans and require the user review the package list proposed, specially where a repository override official packages or has an invasive impact. ksnapshot has been replaced by the spectacle package in KDE Applications 15.12. You can remove ksnaphot. Yes I am on top of that I will fix it. not a problem. I understand whats going on. Just upgraded a machine and noticed that krunner no longer works with Alt-f2 and or Alt-Spacebar. Also wondering if it is just me or the mix initial loading into Plasma and old KDE4 icons are normal now. Ctrl Alt + Del gives me the KDE4 icons for with the Moon grey scale and Logout, Turn Off Computer, Restart computer. sorry for the double addition. As an option is this normal now in all previous upgrades i only had all the default plus of course xinitrc.plasma but never xinitrc.kde. _metic you probably installed (or kept) the kde-workspace package from Slackware. Remove that package and then re-install plasma-workspace. Drakeo – you can not find ksnapshot in PACKAGES.TXT because the package is no longer there. It has been replaced by the “spectacle” package which now implements the screenshot functionality in Plasma5. Much thanks i did track that issue down. It is wicked snappy thanks for all your efforts, and what seems like … you are wasting your time to answer daft responses. Thanks Eric your the best . You know getting old my eyes are getting bad. Glasses thicker reminder I am a working dyslexic. It’s quit a Spectacle :). Seems to me that alien-kde/current/5/x86 is broken. doesn’t show these libraries too. kded modules powerdevil and networkmanagement affected by this. so spectacle is not capturing rectangle it is getting everything else. So I grabbed the latest Frameworks for ksnapshot 1.0 from kde git hub made a package installed it am running both. going to rebuild spectacle on my qt5 only system and let you know. Really busy but if I find time will look at the code. They both have the same options. Except ksnapshot 1.0 frameworks does capture rectangle. There is a critical bug in Spectacle, introduced in 16.04.0, which breaks rectangular image captures when you have a Nvidia GPU (regardless of whether you are using nouveau or the proprietary driver). bormant – I have recompiled the phonon* packages and will upload them along with the bugfixes for Frameworks and Applications. Looks like I forgot to install qt5 when I compiled them for 32bit Slackware.